Staying in Bukhara city during the tour around Uzbekistan, don’t miss the chance to visit Museum of carpet weaving history. 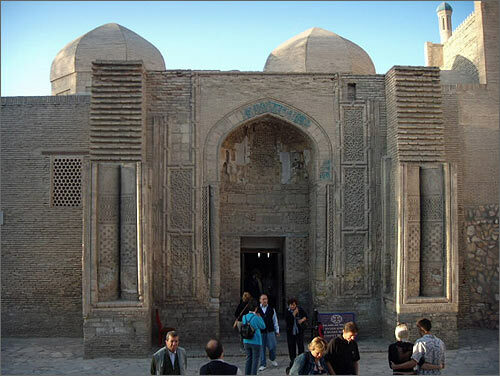 The exposition was opened in the building of ancient mosque Magoki Attory in 1991. Here you can see all kinds of traditional carpet, palas and felt weaving. In XIX-XXth centuries carpet of the Uzbek tribes “mitan”, “yuz”, “kurama”, “nayman” were of big popularity in Central Asia. Sources of carpet weaving origin in Central Asia refer approximately to III-II nd centuries BC. Traditions of carpet weaving in Bukhara oasis passed from father to son and during centuries they were improved. The museum collection consists of 104 samples of the carpet products used in the life of people in Uzbekistan - Uzbeks, Tadjiks, Jews, Turkmen, Kazakhs, Kirgiz, the Central Asian arabs and Uigurs. The collection is subdivided into the following kinds: “gilam” – carpet with nap, “julhirs” – carpet with high nap and palas, which differ from each other by the technique and colors. 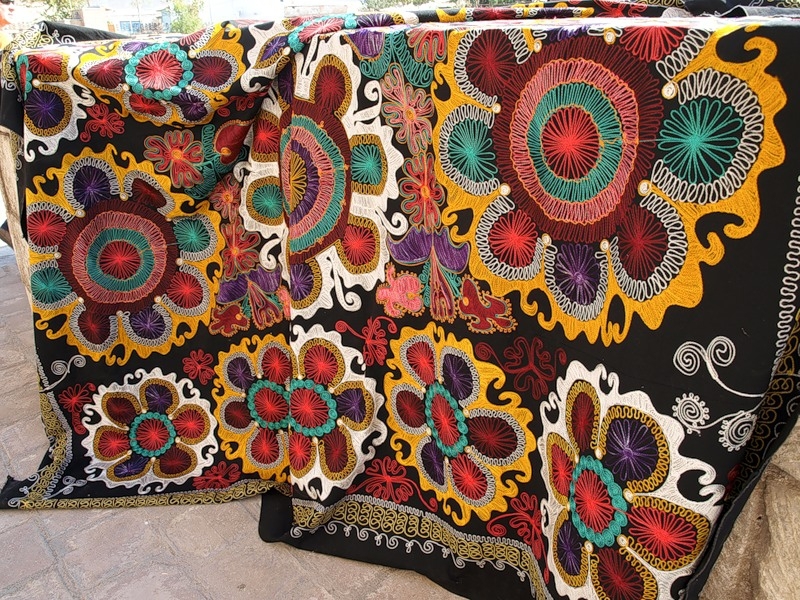 Being fine samples of applied art, the collection of carpets and carpet products is represented by schools “basher”, “kizil-oyok”, “tekke”, “yomud”, “calor”, “ersari” abounding Bukhara motives. The carpets, rugs, saddle-bags, player mats, yurt bags, felts and other exhibits of the museum collection are made from wool and cotton. The traditions of art of agricultural peoples had an influence on the style of products and it was shown in construction of ornamental patterns where the tribal symbolism is presented with heraldic compositions of animals and birds; geometrical motives – girikh, including such elements as hexagons, circular sockets and trellised patterns are presented.